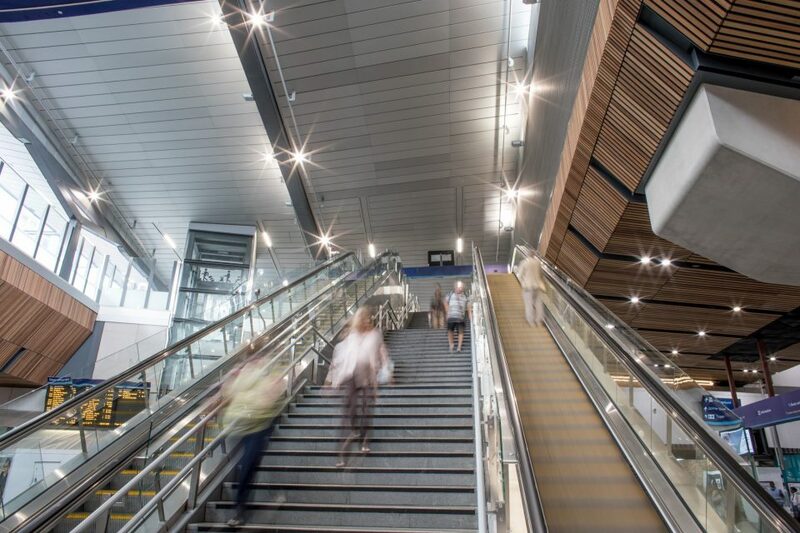 Network Rail has redeveloped the 180-year old London Bridge station – the fourth busiest station in the country with over 54 million passengers passing through every year. To redevelop such a vast, complex site Network Rail required a team that would work together with one goal in mind and add value by presenting viable solutions. 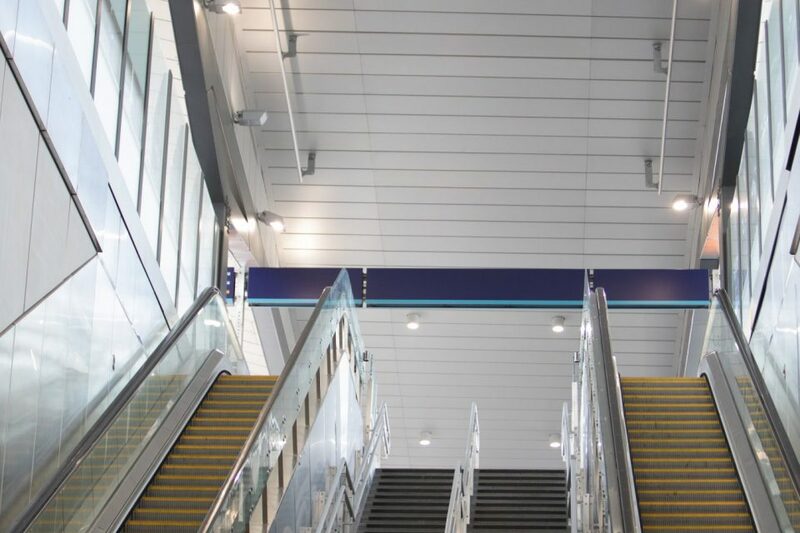 The project took place in phases as part of the Thameslink program, so the station could remain open throughout construction. This meant that much of the work had to be carried out in the relatively quiet period between 11pm and 4am. 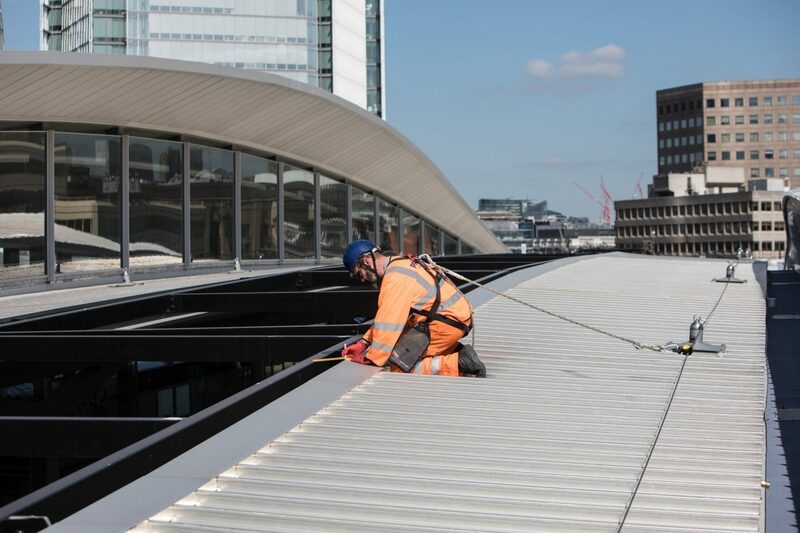 To add to the challenge, the working environment itself was also high risk with workers, including those installing the safety systems, carrying out their tasks above a live railway line and inside a busy railway station. 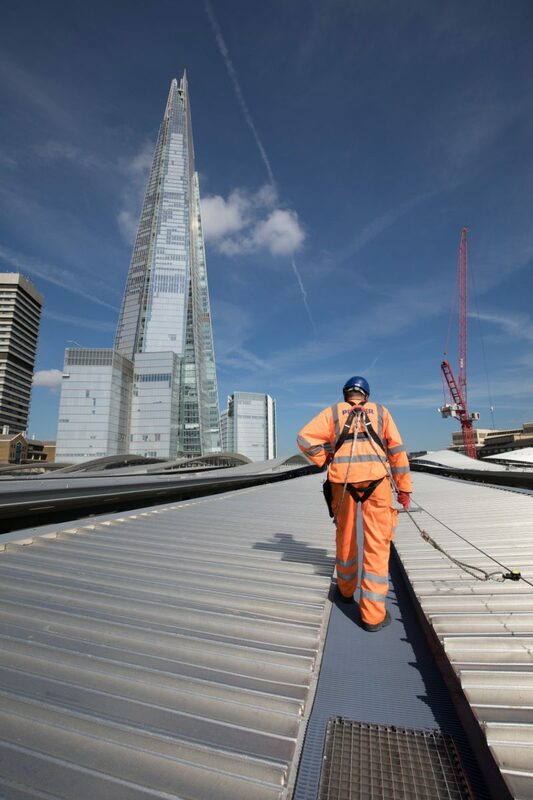 The requirement for Eurosafe was to then develop the layout and strategy for a safety at height system to be installed on the new roof which would allow during construction and for future regular maintenance work. MSA had already been discussing the project with the building’s architects and joined forces with Eurosafe to design a solution that would not only allow their operatives to work safely at height but would also look aesthetically pleasing in conjunction with the new roof. Eurosafe chose the MSA Latchways Constant Force Post (CFP) cable system for a complete rooftop fall protection solution. 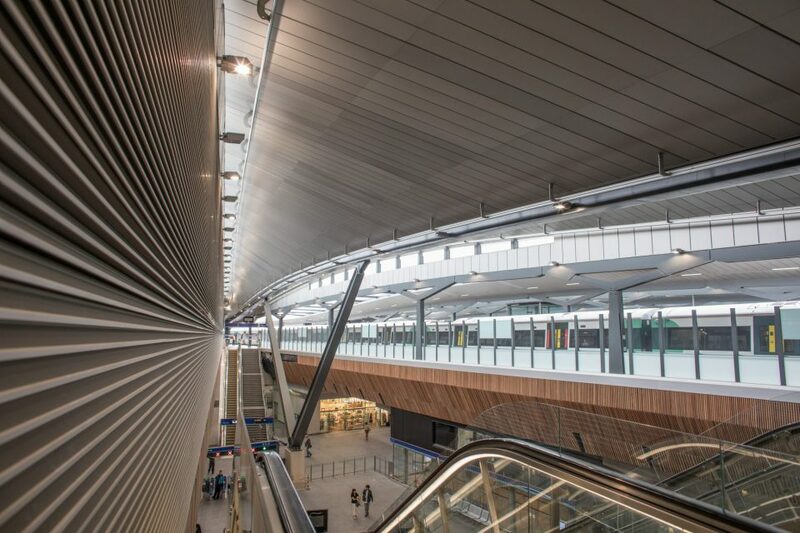 It is the only system approved by Kalzip, who supplied the roof at London Bridge Station. Installation was complicated by the unusually short roofing sections, a consequence of the roof’s wave design. However, as a result of the CFP system being versatile, the team were able to work with the roofers to decrease the spacing of the CF Post. Six metre sections of the roof and CFPs were then built off-site, in cassette form, in a factory near Doncaster – before being shipped in and installed. Due to the location, building the aluminium cassettes in situ was not possible and would have represented a number of health and safety challenges. 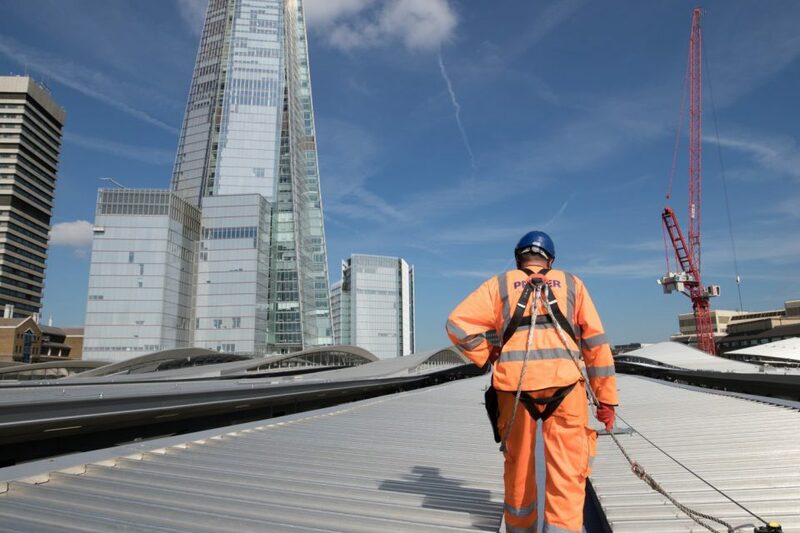 For the second part of the safety at height provision, Eurosafe installed over 1000 metres of NP01 monorail to the undersides of the roof to carry a cradle for maintenance workers. This enables access to all areas of the new concourse where cherry pickers cannot be used due to restricted space and voids below. 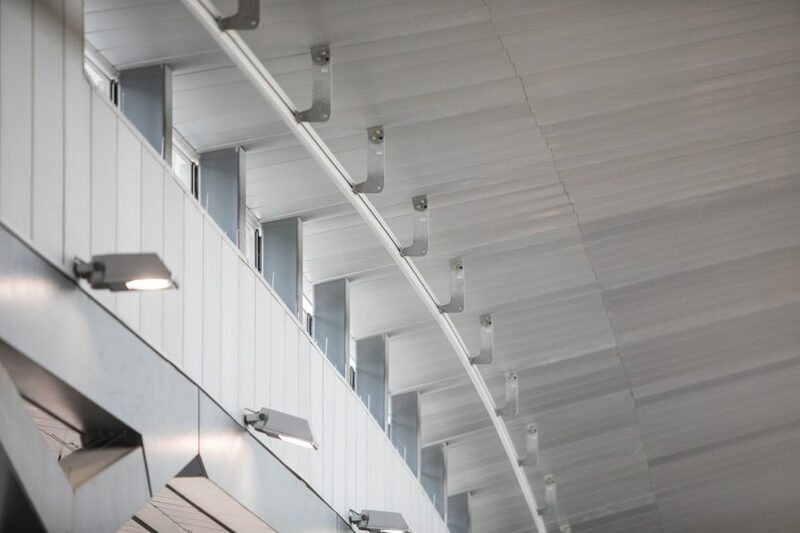 The cradle can be controlled remotely from the concourse for testing and employs features such as laser sensors to avoid contact with any part of the structure. 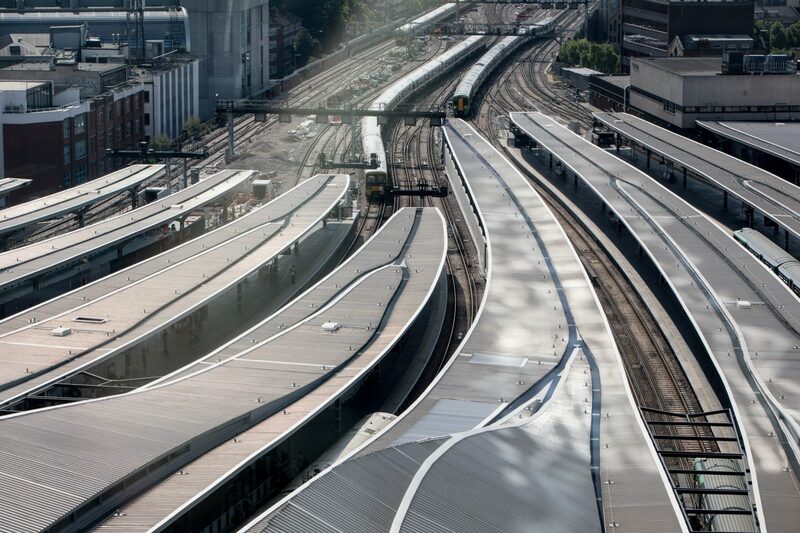 Together, MSA and Eurosafe had to overcome many logistical problems on the new London Bridge structure. 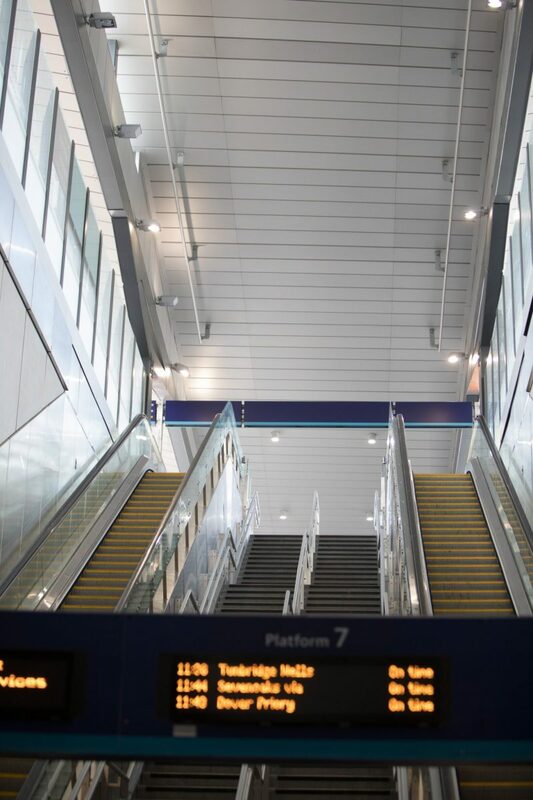 Having done so, this project was a great success, helped by Network Rail’s insistence on going the extra mile wherever the safety of its staff is concerned. The phased approach of the project also meant to the project was delivered on time to Network Rail in January 2018. For more info on this project or solutions used please contact. . .
Once my safety equipment is installed, does it require maintenance?